We recommend stripping any car that has been painted a few times or where the substrate is questionable. It’s like buying insurance for your paint job. Most cars are metalfinished, gapped and bodyworked with the panels hung to keep nice bodylines. 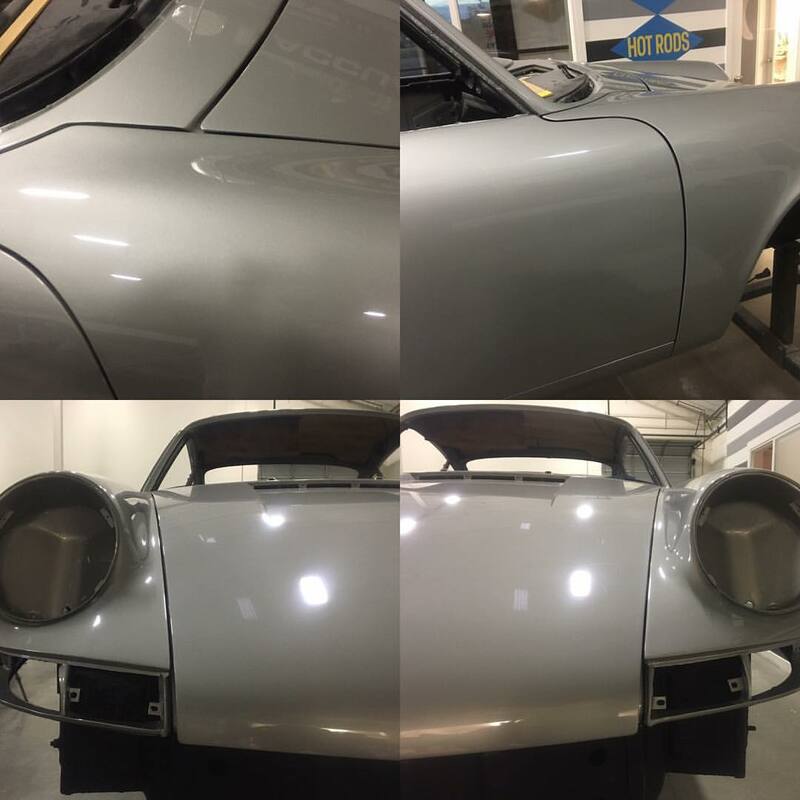 The car is bodyworked (blocked and primed) within the specified budget. We final (wet)sand all cars by hand.